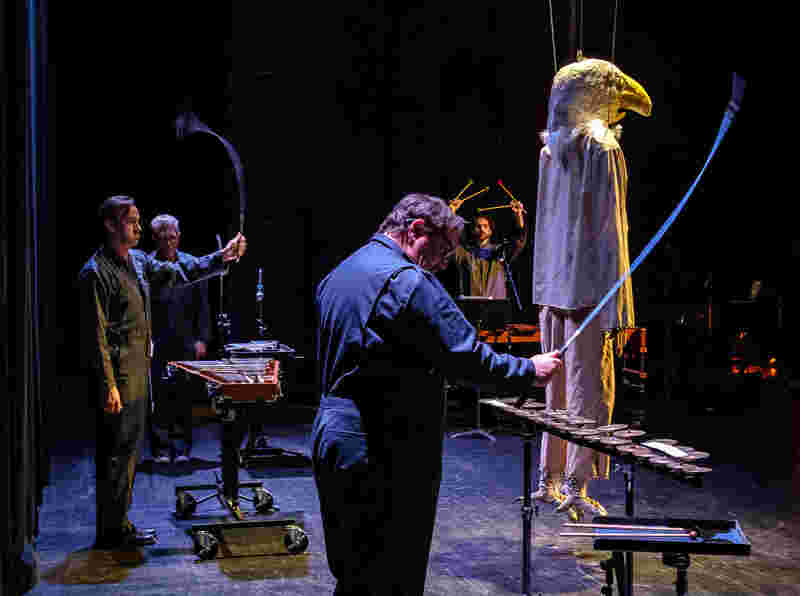 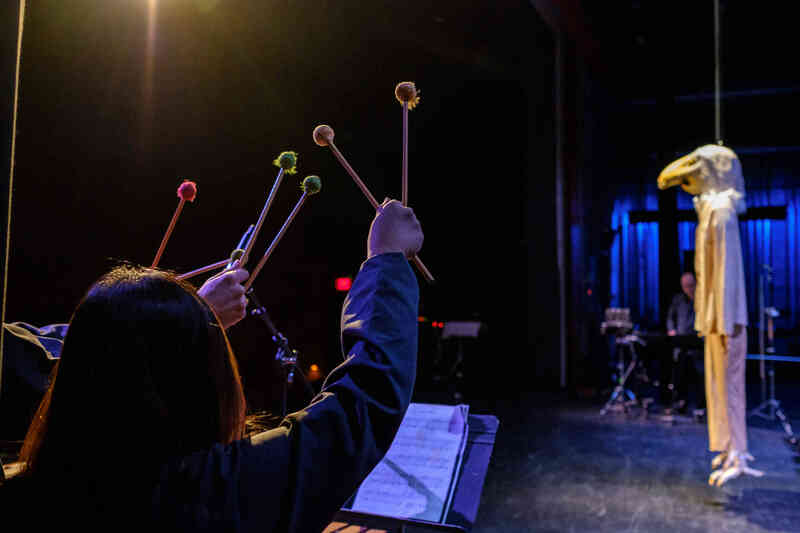 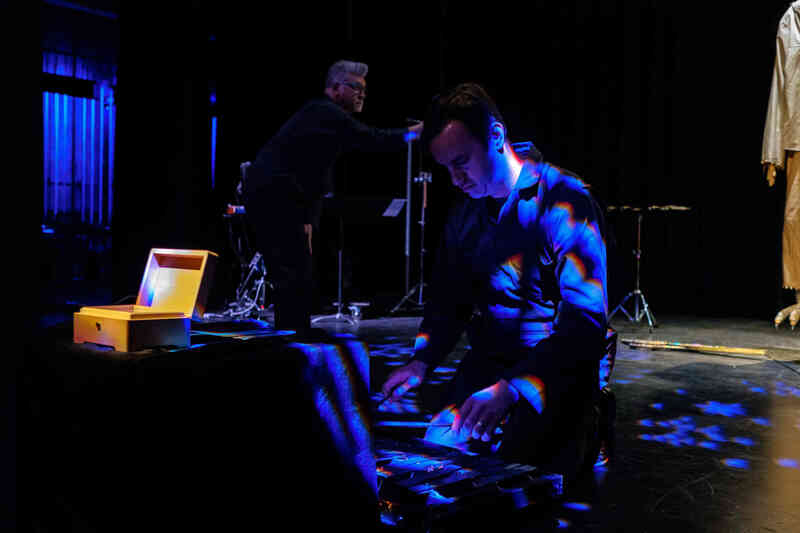 Back in February of 2018, Crossing 32nd Street performed two monumental works of the twentieth century over the course of two nights: Stockhausen’s Musik im Bauch and Reich’s Drumming. 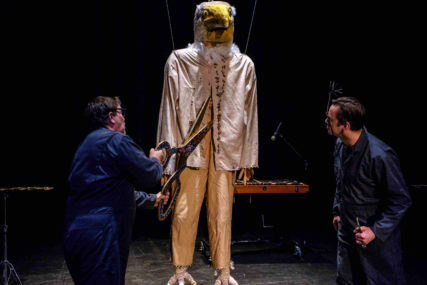 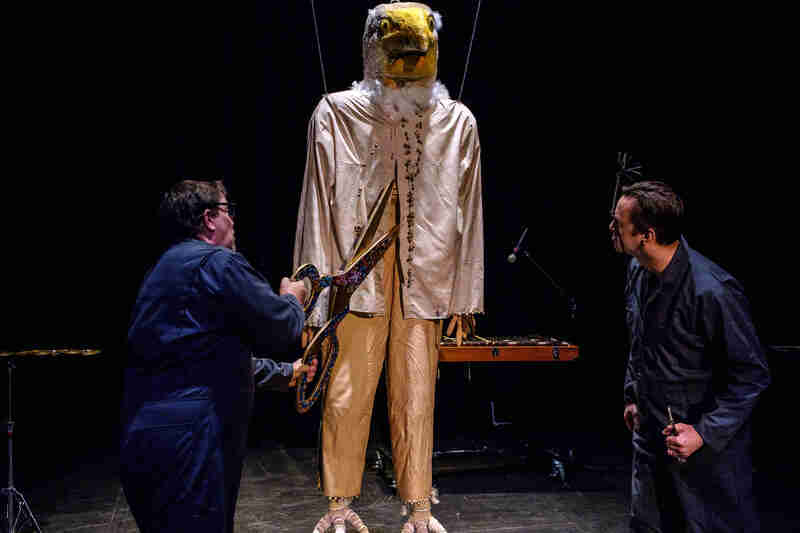 Musik im Bauch (music in the belly) centers around the large bird-man named Miron who is suspended from the ceiling. 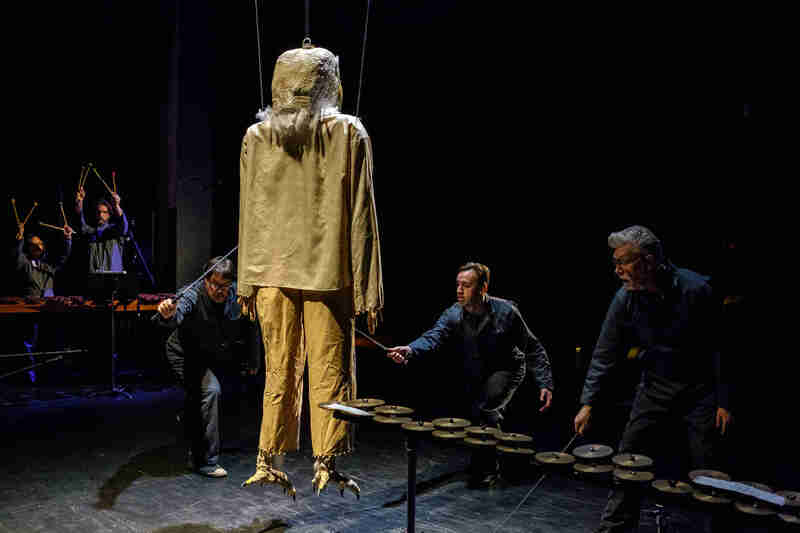 The whipping that occurs in the space around Miron (and sometimes on him) is meant to whip away the evil spirits. 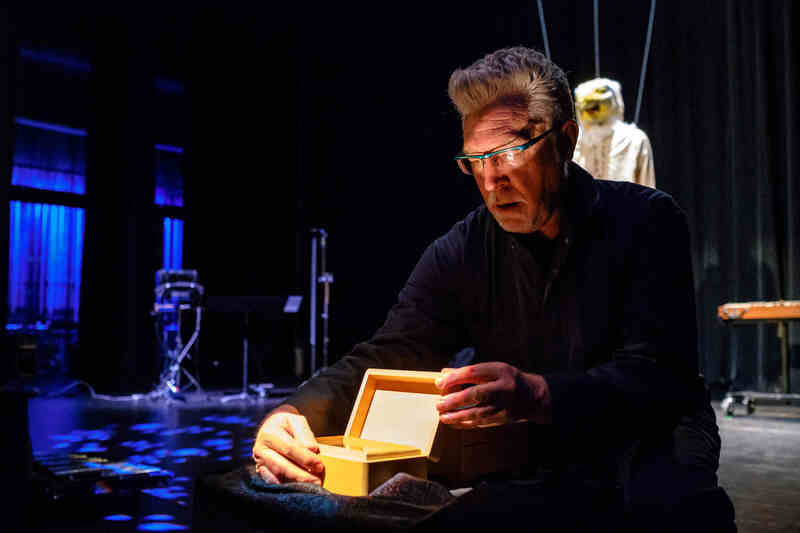 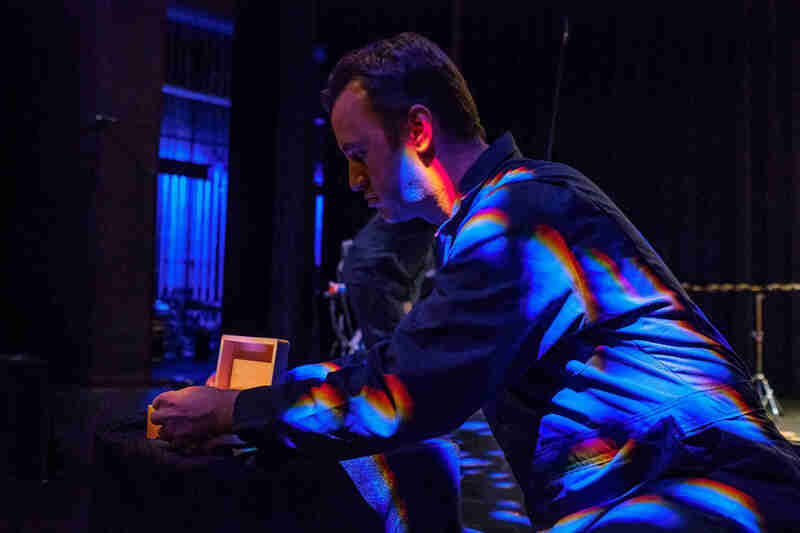 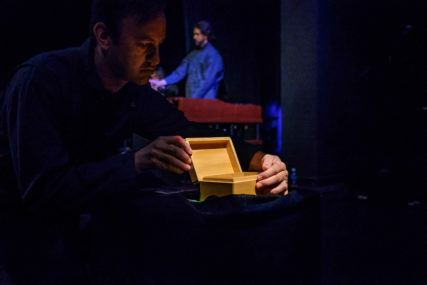 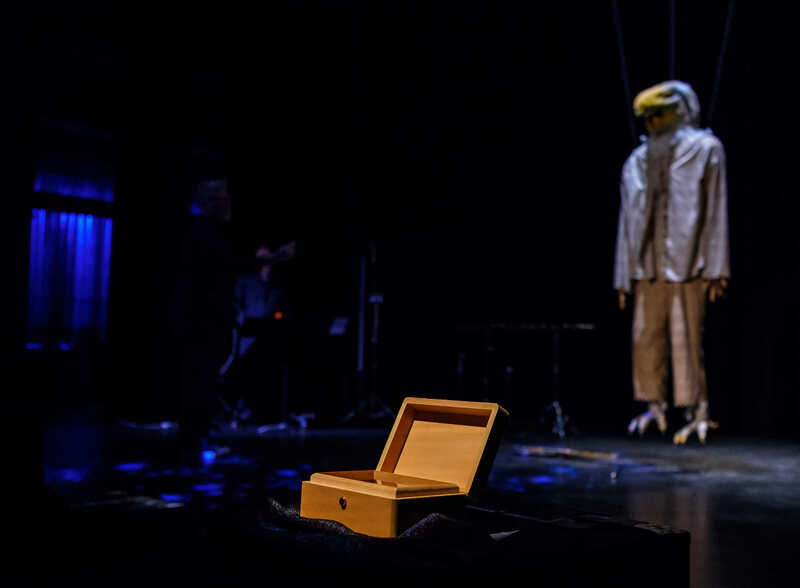 Eventually, the players remove music boxes – which melodies were written by Stockhausen – and are placed at the front of the stage.